Leach Legal is Perth’s most significant and leading Family Law firm. With the strength of 17 lawyers our clients benefit from a collaborative approach that is reflected in the outcomes but not the price. At Leach Legal you matter. We understand that separation and divorce is not just a process – it often involves complex emotions and intertwined personal and financial issues that require not only legal assistance, but emotional and social support to unwind. We have a Client Relationship Manager, Fiona, who is with our clients every step of the way. Fiona checks in and is available for support and information at no extra cost to you. We offer this service because sometimes you need support that doesn’t require a lawyer, but you need someone who understands Family Law – and we offer this service because you matter. We want you to emerge from this process with support and understanding and an outcome that allows you to move on with your life. Our strong legal team, our experienced support team and our Client Relationship Manager mean that you are supported to do this. Countless testimonials from our clients show us that support and strength are very important for our clients. That they feel like they matter. Catherine is the Managing Director and founder of Leach Legal. She has worked in Family Law for over 25 years. Catherine started the firm in 2004 and has built it to be Perth's largest and leading Family Law firm. 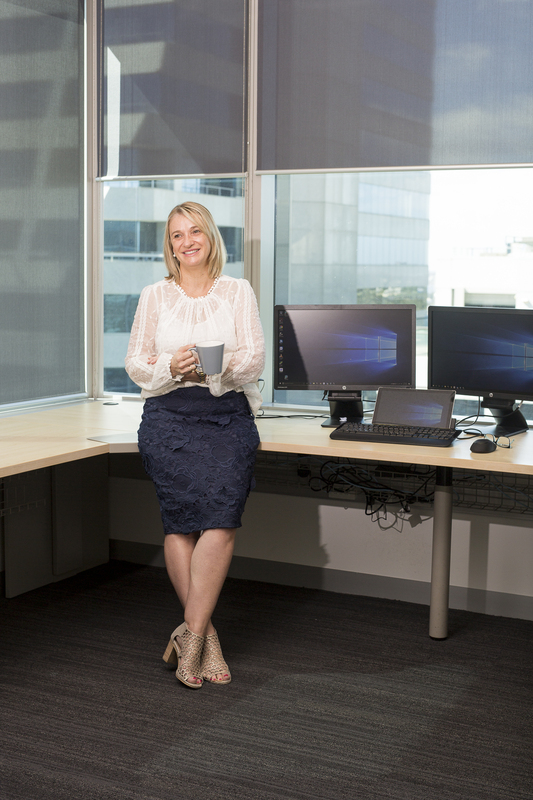 Her strong ambition to build the most significant Family Law firm in Perth drove her to join the global Entrepreneurs Organization, of which she became President of the Perth Chapter in 2018. Her regular contact with business owners of all types both locally and globally has given her a particular insight into business owners and the successful growing and running of a business. This insight is valuable when acting for business owners and their partners and Catherine has knowledge that can only be gained from hands on experience. Her wide circle of contacts in the local and global business community mean that she expert knowledge at her fingertips to benefit her clients. Catherine is the only Family Lawyer in Perth to solely found and grow a mid size law firm and in addition she has balanced her family and her two children. Her connections with business people world wide enable her to be exposed to new methods, new technology and new philosophies with a view to provide all clients with a more efficient and cost effective service. Catherine is trained in the alternate dispute resolution methods of arbitration, mediation and collaboration. She has also completed a Masters of Family Law and has obtained excellent outcomes for clients both through the Court process and using alternate resolution methods in a cost effective manner. Her strength lies in using her experience and training to plot a suitable strategy for her clients and then execute on that strategy to get them the best results. Congratulations on the opening of your new, very flash and professional offices. Best wishes for the ongoing growth and success of the team at Leach Legal. Very helpful advice on family law. I recommend visiting the legal team at Leach Legal for professional advice. Thank you Catherine. Hi Ismail, we are very sorry to hear you didn’t have a good experience with Leach Legal. At Leach Legal we are committed to providing the best service to our clients. Please call our office, we would like to talk to you about how we can help resolve this situation. Thanks, Cath.